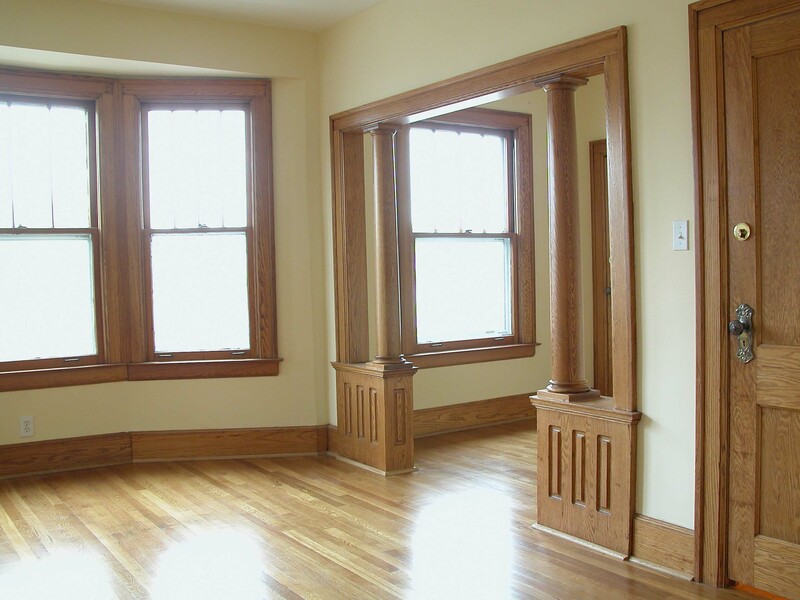 Authentic Restoration Detroit | Preserve the Integrity of Your Older Home. Preserve the Integrity of Your Older Home. Detroit has always had its fair share of beautiful homes, but about 100 years ago, they started building them at a rapid pace. In the 21st Century, where current building materials last about as long as the mortgage, Detroit’s older homes can stand the test of time. Building predominantly middle-class homes, before the driveway was invented, thousands of carpenters cut, using hand tools, native materials (oak, maple, walnut, chestnut, cedar, fir) and some not-so-native materials (mahogany, redwood, cypress); plasterers curved a million cove ceilings and arched doorways; and tile setters set ceramic and porcelain tiles in shower stalls and kitchens in concrete. The interiors of these houses were solidly constructed and often reveal stunning detail, even under several layers of paint. The Great Recession, unfortunately, led to the current tragedy of tens of thousands of these houses being vandalized. Houses that were vacant, but solid, in autumn 2009 saw the pipes burst in the second story bathroom, damaging everything below. Then the door got kicked in, and brass hardware, copper wire, bronze lighting and plumbing fixtures, even cast-iron tubs and sinks, wound up at the scrap yard. Leaded glass doors and windows found their way to the black-market, or if fortunate, a concerned neighbor’s basement. The good news is that there are just as many surviving homes that are salvageable, if not beautiful, and currently on the market. The houses that survived the Great Recession in a select few neighborhoods are selling for premium prices $175,000-300,000) as of 2017. Those that didn’t fare so well and were vandalized, or worse, bank-owned and not winterized, are selling for much less and require substantial work. Depending on the neighborhood, many 1,800-2,200 square foot homes are selling between $75,000-200,000 (and less in some neighborhoods). The 2500-4000 square foot homes, can sell for roughly the same price, but often require substantially more work due to their size. These houses often feature three finished floors, a master-bath with shower stall (with three or more shower heads), the Jack and Jill bath (between two bedrooms) and a spacious tiled kitchen. 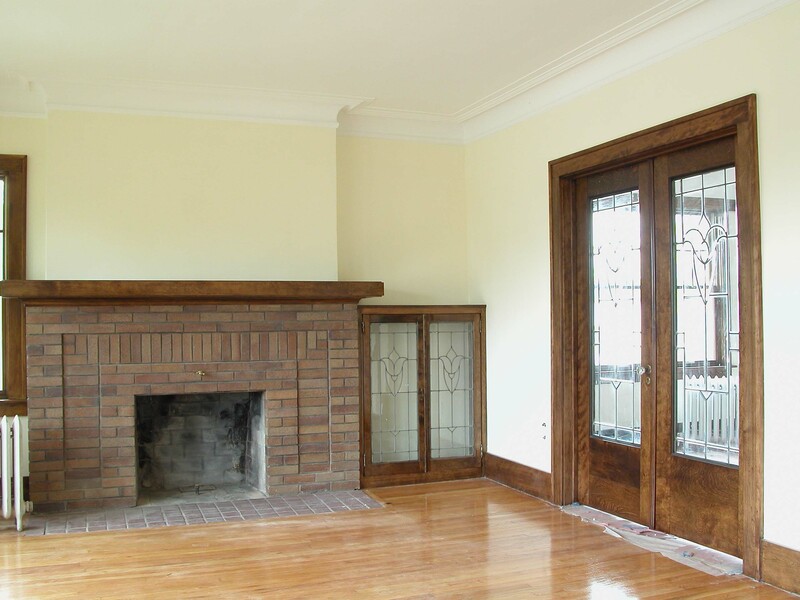 Pocket doors, ornamental plaster, a paneled library, or a Pewabic tiled fireplace are often standard features. Many of these homes will require some work, some more than others. We can help. Detroit’s older suburbs feature similar homes, although a little more modest in size. Nonetheless, the craftsmanship is just as stellar, if a little more subdued. Built in the 1910s, 20s and 30s, the houses that have an original kitchen or bathroom, even unpainted original trim, are selling at higher prices than their counterparts with a recently “updated” kitchen or bath. During the housing bubble, the “big box” home centers (the Home Depots and Lowes) caused a negative effect. Original bathrooms and kitchens were ripped out because of the perception that they were outdated. Dull bronze light fixtures and sconces were discarded for shining brass. Old nickel hardware discarded for new nickel-plated hardware. Cheap cabinets replaced built-in “country cabinets,” when a new set of glass doors and top-lit glass shelves could have given the old kitchen a modern feel. The biggest crime was in the bathroom. Often, an original hexagon floor with no cracks was ripped out. The removal often involved smashing through 2-3 inches of concrete (surprise!) and at least 20 garbage bags. Original wall tiles set in concrete required even more labor and garbage bags. Then there was the tub removal, usually by sledgehammer. The unsuspected intensity of the labor to remove the old bathroom often cut into the budget and the details of the new bathroom. Admittedly, these renovations are sometimes necessary, but just as often they are not. A neighbor who “totally loves her old house” may be what it takes get you to appreciate yours. A contractor, sympathetic to your old house, is a valuable asset, too. Before you know it, that pink (or green, or yellow) ceramic tile bathroom with the black trim doesn’t look so outdated with a different paint color or a pedestal sink. You’ll appreciate it more with the money you save. At Authentic Restoration, we’d like to help you maintain the character your house already has. We’ve spent the better part of the last 20 years helping people take care of their old houses. From stripping the woodwork to sanding the floors; from fixing the damaged ceiling caused by the bathtub left unattended to painting the hallway; from repairing the leaky kitchen faucet to rewiring that old light that keeps flickering, we can help. Best of all, our prices are reasonable enough that you just might call us back for another job. And, if you still want to renovate, we can help you with that, too.